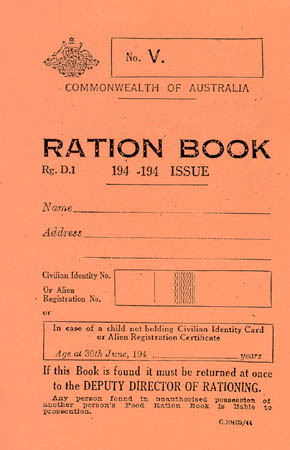 Image of a Ration Book from Australia. Image online, courtesy the Library at Curtin University, Perth, Western Australia. Bos, Carole "Australia - A Child's Ration Book" AwesomeStories.com. Oct 07, 2013. Apr 18, 2019.